Do you enjoy the freedom of portability when it comes to PC gaming or typing on the computer? Would you love to see fewer wires on your desk? A wireless keyboard might be the way to go! We will be looking at how to choose the best wireless keyboard based on your preferences and budget. There are a few main points that you need to consider when looking at buying a wireless keyboard. What will you be using the keyboard for? Are you hoping to discover the best gaming keyboard to go with your ultimate setup? Are you seeking a wireless keyboard and mouse combo or just a wireless mouse to make your computing life much more convenient? The keyboard you choose should be determined by the activities you intend to use the keyboard for. If you’re a gamer with a higher budget, then you may want to look for the best wireless mechanical gaming keyboard that matches your gaming style. Alternatively, a membrane or scissor-switch keyboard may also be a good starting point. Do you need to find the best wireless keyboard for your office or work computer at home? A Bluetooth keyboard may be more practical for you because they can usually pair themselves with a variety of devices, such as laptops, tablets and phones. Are you a music or video enthusiast? A media center PC may require a radio frequency (RF) keyboard that uses a USB dongle, which generally has a better range than Bluetooth. You may also consider a wireless keyboard with an inbuilt touchpad for added convenience. No matter what your peripheral needs may be, investing in the best wireless keyboard for your lifestyle is a great first step down the road of wireless technology. There are two common ways that wireless keyboards will connect to a device; RF and Bluetooth. Both are easily obtainable in today’s market and are not as expensive as they once were. For this reason, there are plenty of RF and Bluetooth wireless keyboard options to choose from. A RF keyboard connects to your computer via a dongle which plugs into a USB port. It then “talks” to the keyboard using a 2.4GHz frequency to find out which keys you are pressing and then relays the action to your computer. Bluetooth technology is very similar; however, the receiver that it uses is normally already built into your device. This means it won’t take up a USB port on your computer. Bluetooth is also widely used in devices such as tablets and mobile phones. For this reason, people may use Bluetooth wireless keyboards for work so they can control multiple devices at a time. 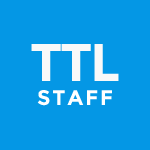 The majority of wireless keyboards require batteries to keep them powered through extended periods of use. The typical types of batteries they use include alkaline batteries, AA, AAA or the newer technology of rechargeable Lithium-Ion (also commonly found in smartphones). If you’re a PC gamer or someone who uses a computer on a regular basis, battery longevity is one of the most prominent components to consider when purchasing any piece of wireless technology. Alkaline batteries tend to last longer than the lithium batteries; however, they may end up costing more for you in the long run as replacements are needed. If your device runs out of juice and you don’t have any spare, you may be out of luck until you can get more batteries – this would be a grievous situation for gamers! Lithium-ion batteries, on the other hand, have the advantage of chargeability. This normally occurs through a USB port. While you’ll have to take up a USB port space to charge your device, this will only be temporary for as long as the keyboard needs to charge (this means you can have it charging during downtime while you’re away from your devices). If you’re looking for a wireless gaming keyboard, lithium-ion is usually the way to go as they are generally more suitable for longer gaming sessions (if the charge starts to get low, you can quickly plug it in and keep your head in the game). Why Logitech K780? This wireless keyboard is a great combination of high functionality and affordable price. It’s a universal keyboard that will suit almost any device including computers, tablets and smartphones. What is more, it offers an easy switch between three devices. Logitech K780 can be either used as a regular type-on-everything keyboard or get combined with a FLOW mouse. Note that mouse is not included, so if you need such kind of combo you will need to buy it separately. This wireless keyboard has an ergonomic design thanks to its full size, big keys and number pad. It’s not only convenient in use but also delivers quiet performance. Logitech K780 comes with an integrated phone and tablet stand, so you can keep your devices easily accessible. High compatibility and adjustment level is another feature customers like Logitech K780 for. It supports such operating systems as Windows (8 and later), Mac OS X (10.10 and later), iOS (5 and later), Android (5.0 and later) and Chrome OS. This Logitech keyboard is also able to recognize all devices automatically and to map keys (hotkeys and shortcuts) in a familiar way. It’s long-lasting as its battery life reaches 2 years, i.e. approximately two million keystrokes a year. One of the best budget wireless keyboards on our list is HP K3500. Despite its low price its performance level is quite decent and will suit anyone who needs a modern wireless keyboard. So, what can HP K3500 offer a customer like you? Comfort is the first feature you should be aware of. Yes, this cheap keyboard is really convenient to use. It provides comfortable control over your PC. Behind its sleek design there is a hidden unlimited connection within 30ft that comes together with 2.4GHz USB dongle. There is a set of modern chiclet-style keys which deliver not only simple multimedia control but also fast and accurate performance. HP K3500 has got a built-in number pad as well. Note that this wireless keyboard allows you to connect it up to four HP-compatible wireless devices using HP’s Link-5 USB receiver. Note that HP K3500 is compatible with such operating system as Windows (XP/Vista/7/8/10). 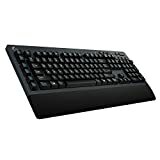 In case you are the owner of a PC with Windows OS then one of the best wireless keyboards you can get for it is Microsoft EKZ-00001. Its sophisticated and slim design attracts lots of customers who like good-looking things. Still, stylish look isn’t the only virtue of this keyboard. It has also got a range of the other useful options to elevate your office or gaming experience. Microsoft EKZ-00001 is designed with a unique fingerprint sensor which looks like a common key. Windows Hello biometric authentication comes with asymmetric key cryptography. Such Fingerprint ID technology makes it one of the best secured keyboards. The build quality deserves special attention as well. This Microsoft keyboard has aluminum frame what makes it strong and capable of surviving different kinds of damages. It is also equipped with a rechargeable battery which can work up to 4 months on one charge. Note that Microsoft EKZ-00001 supports both wireless (Bluetooth 4.0/4.1 LE connectivity) and wired modes. Arteck HB030B is an elegant wireless keyboard and one of the best options for those who are not planning to spend a bunch of cash. This keyboard comes in seven backlight colors and with two brightness levels. It also takes care of the wise power usage as there is an auto sleep feature. One of the best characteristics this keyboard can be really proud of is its compatibility level. Arteck HB030B supports all popular operating systems including iOS, Android, Mac OS and Windows. As well as some of the pre-cited models this wireless keyboard has a rechargeable battery which can last up to 6 months between charges. Its thin design makes it look stylish and compact. Besides, Arteck HB030B is light and as a result portable. Thus, it’s suitable for different trips. Arteck HB030B is a comfortable keyboard with very quiet performance. It’s convenient in use as there are all the necessary media controls and Windows dedicated hot keys. Its top-notch design is also a durable one as there is high-quality anodized Zinc Alloy back shell and ABS plastic brushed finish front panel. One of the best wireless keyboards form Apple is its Magic Keyboard with Numeric Keypad. Its extended layout makes it extremely convenient in use. Such a keyboard will suit both office workers and enthusiastic gamers. It comes with document navigation controls for quick scrolling as well as full-size arrow keys for gaming. As to the additional numeric keypad, it’s a great tool for those whose work is connected with different finance operations and spreadsheets. Its build quality won’t disappoint you too. Apple Magic Keyboard has a special scissor mechanism beneath keys which provides a solid level of stability and accurate typing. By the by, this keyboard includes a lightning cable to charge it form a USB on Mac. In order to save the power, there is a switch on/off button on its back. Apple Magic Keyboard supports all devices with Mac OS 10.12.4 and later as well as iOS 10.3 and later. Looking for a budget wireless keyboard under $20? Here it is – Rii RK901. It is cheap but durable and simple in use. Rii RK901 has a slim design what makes it portable. 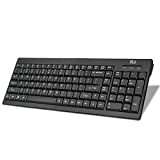 This wireless keyboard provides quiet keystrokes and has a dedicated number pad. Thus, it’s an excellent choice for offices as well as homes. Rii RK901 supports all popular operating systems including Windows, Mac and Linux OS. You can also connect your PC to the TV set and watch the movies controlling all the options using your new wireless keyboard. Rii RK901 comes with 2.4 GHz USB receiver to plug into your computer. Here’s another great wireless keyboard with slim and compact design. Logitech K400 Plus is convenient in use as it comes with a user-friendly layout and comfortable keys. This keyboard has both easy-access volume controls and arrow keys. By the by, its keys deliver very quiet performance. There is also a large 3-inch touchpad what makes it a perfect HTPC keyboard. It is a great option for a TV-connected computer as well. Logitech K400 Plus provides wireless performance within 33ft, so you may use it in the largest rooms of your home or big conference halls. But keep in mind that its wireless range may be different as it depends on the computer setup and the environment the keyboard is placed in. Though this wireless keyboard doesn’t come with a recharging battery, its battery life is long enough to get used to a quiet but efficient work of this item. Logitech K400 Plus provides 18 months of wireless performance. Its compatibility level is another virtue it can be proud of. This keyboard supports such operating systems as Windows (7/8/10 and later), Android (5.0 and later) and Chrome OS. Anker has also got a keyboard which can be considered as one of the best on today’s market. Its Bluetooth keyboard is also one of the smallest, so it is a great choice for those who need a portable item. This wireless keyboard is designed with a hefty rechargeable lithium battery with 800mAh capacity and 6-month battery life. Note that you can rely on half a year battery life only in case you use it no more than 2 hours a day. In case you spend 24/7 in front of your monitor typing reports or doing any other things you may need to recharge it earlier. Except for its tiny size Anker Wireless Bluetooth Keyboard has also got a stylish design with matte finish keys and their intuitive layout. 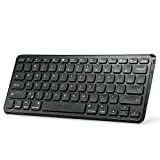 Its high compatibility guarantees that you will be able to connect this keyboard to any device you need. Besides, it supports the most popular operating systems: iOS, Android, Windows and Mac OS. By the by, this Anker keyboard automatically connects to the last connected device. Need a wireless keyboard for playing games? Have a look at CORSAIR K63 Gaming Keyboard. It will survive all your ups and downs as it is made of a top-notch anodized brushed aluminum frame. Such construction can last for ages. This model has also got a pre-key dynamic multi-color RGB backlighting which you can control and customize in the way you like it. Note that CORSAIR K63 has 100% CHERRY MX mechanical key switches. This guarantees accuracy every time you touch a key. By the by, this keyboard supports not only wireless but also USB connection. As to its wireless mode, it provides 15 hours of non-stop use. In case you want to get something very special then you can buy the K63 Wireless Gaming Lapboard and get a powerful combination for your gaming. CORSAIR K63 is considered to be one of the safest wireless keyboards as well. The point is that it comes with 128-bit AES wireless encryption to protect your every keystroke and keep your data safe and private. Logitech G613 Lightspeed is another great wireless keyboard with fast response guaranteed by its 1ms response rate. Thanks to its Romer-G mechanical switches you will be also able to enjoy not only fantastic speed but also quiet performance. This keyboard is very durable and can survive up to 70 million clicks. It’s a highly customizable keyboard as it comes with six programmable G keys for macro sequences and in-app commands. Note that it’s up to you how to customize G key profiles for each app. Logitech G613 supports such operating systems as Windows (8 and later), Mac OS X (10.12 and later), Chrome OS, Android (3.2 and later) and iOS (10 and later). Besides, this wireless keyboard has an excellent battery life of up to 18 months. There’s plenty of reasons to go wireless. Maybe you’re tired of the annoying cords all over your desk or you’d like your devices to be more portable and versatile. Whether you need wireless keyboard for gaming, mini wireless keyboard or budget wireless keyboard that will get the job done, there’s a keyboard out there for everyone. Investing in wireless keyboard that matches your lifestyle is a great way to save space and time while enhancing your computer productivity. Ultimately, finding the best wireless keyboard means having more freedom to use your keyboard where and how you want. It’s not how we rank products. It all depends on your needs and budget. If you want a gaming keyboard, then we’d go for Corsair. Portable and cheap – Anker is a great option. For a tablet – Arteck is good. Own a Mac – Apple Magic Keyboard. And so on. There is no one size fits all.